This seedling of H. 'Fortunei Aurea' was registered by the British Hosta and Hemerocallis Society (BHHS) on behalf of English hybridizer, Eric Smith in 1988. It is gold colored in the spring when it first emerges but changes to pale green as the season progresses. 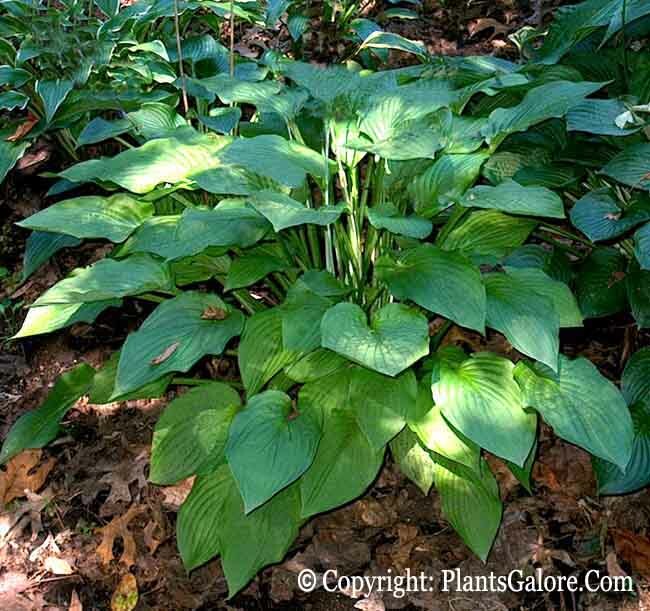 This large size (20 inches high) hosta bears pale lavender flowers from mid-July into August. The Hostapedia by Mark Zilis (2009), says that it is "...sometimes listed as 'Golden Haze'." Similar cultivars include H. 'Goldsmith'.